Arrowhead Tree Top Lodge is now offering our venue to be booked for weddings. If you are looking for a beautiful outdoor wedding located in the beautiful area of the Lake Arrowhead mountains, our lodge may be just what you are looking for. Our outdoor wedding event area is surrounded by historic old growth, over 1 acre of natural forest. It is perfect for a wedding that is nestled within the pines. To provide inspiration for brides that are considering our venue, we are presenting this beautiful styled shoot provided by Josh & Carrie Photography. 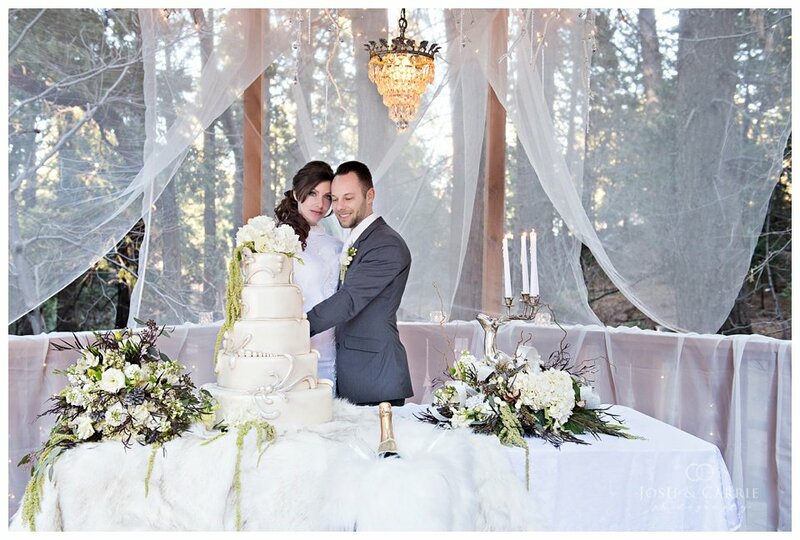 These winter wedding shots were taken here at our very own lodge. 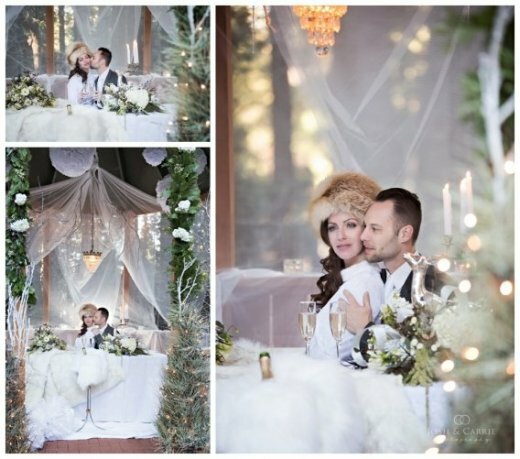 A very talented group of professional wedding vendors worked together to create this amazing winter wedding scene. We are very excited to share the result of what can be accomplished when great minds come together. All of the wedding vendors, which we highly recommend, who helped create this wonderful scene can be found below. 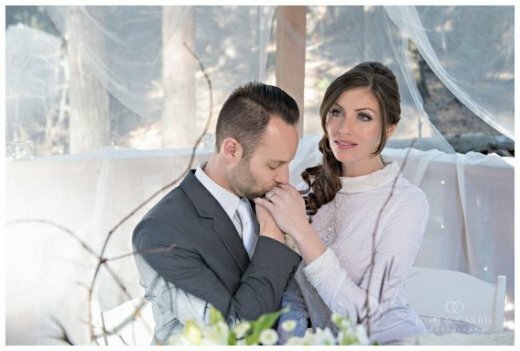 This beautiful shoot is an example of how Lake Arrowhead is one of the best places for destination weddings. Lake Arrowhead is filled with natural and historic beauty and our local vendors are so creative and a joy to work with.